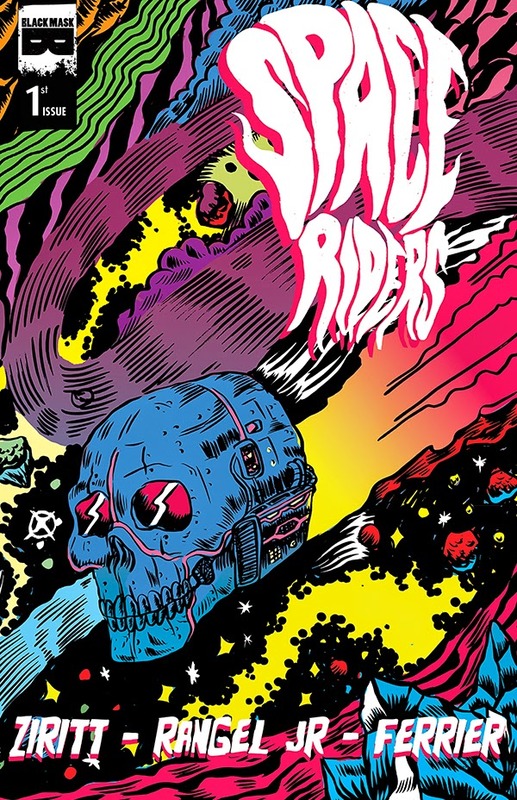 NEGROMANCER 2.0: Black Mask Studios Announces "Space Riders #1"
SPACE RIDERS is a love letter to the psychedelic space operas of Heavy Metal, Moebius, and EC Comics, but done with a modern twist. Artistic genius and obvious lunatic Alexis Ziritt is doing psychedelic work like no one else in comics, and rising start writer Fabian Rangel, Jr. is making a name for himself with his hugely successful Kickstarters for his pulp adventure series DOC UNKNOWN. Together with designer Ryan Ferrier they form the perfect team to make comics unlike anyone else is making right now.